Chalets Amethyste 1 & 2: Contained within one larger chalet, Amethyste 1 and 2 share the same entrance and ski deposit but are otherwise quite separate chalets. 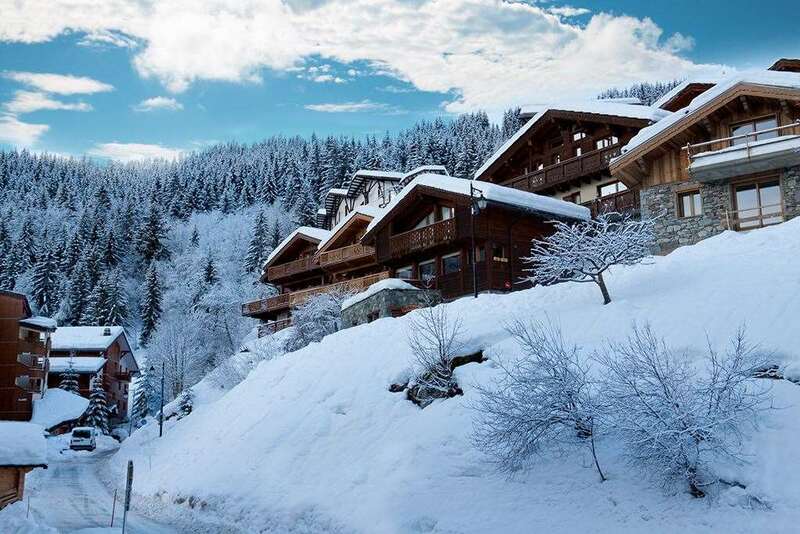 However there is the flexibility to use both chalets to accommodate a larger ski group of up to 20 guests wanting a catered ski chalet holiday in La Tania. The two separate lounges allow for differing requirements within the group: some may wish to have a quieter time or to watch a DVD whilst others chat over their day around the fire. Chalet Amethyste 2 is a comfortable pinewood chalet on the first and second floors of the building. It has a spacious lounge with a classic wood finish and seating for everybody around a centrally positioned fireplace, creating a warm and welcoming place to relax and unwind. The lounge leads through to the open plan dining room and beyond to the South and West facing sun terrace – a great outdoor space for guests to enjoy. . The chalet is equipped with electric boot warmers for your comfort, a DVD player and free wi-fi for your convenience and enjoyment. Chalet Amethyste is situated in an excellent position for piste and village access. It is located away from the road up two flights of steps from the lane that winds around the La Tania chalets. The pedestrianised village and its amenities are just over 5 minutes away by foot and you can ski from just 150m away from the chalet. The traditional pine-finished bedrooms all have full en-suite facilities - bright, fully tiled bathrooms with heated towel rails - and some rooms open onto private balconies. The Chalet Amethyste hosts live out. All rooms can take a cot (some may be a tight fit).